June Bana is a growing make up artist whose looks are gaining traction by the day on social media. But to June, the real her is a quiet homebody and lives a life less eventful than the pictures on her feed. Then she meets Selena Clarke, drop dead gorgeous model, who loves June for who she is. A soft sweet tale of two women learning each other and falling in love. A rapid contemporary read with little to none conflict. This title is very fitting. Soft on Soft is precisely what you get. This story centres two women of colour falling in love. The writing is simple and easy to follow. Pop culture references abound! Its uneventful plot makes a bit tricky to read since you can hardly tell what is going on at the moment. I don’t expect something tragic to happen to make it interesting, but something a little more eventful would’ve improved the pacing a lot. Overall, there’s something to love in this. Em Ali has a bright future in of them. I know I’ll read more. 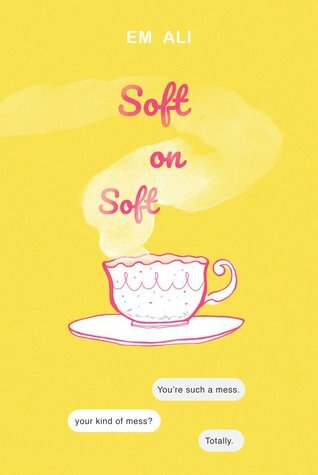 UPDATE: Purchase links for Soft on Soft are not currently available as the author has taken them offline for further edits. I will upload a longer review once it’s available. 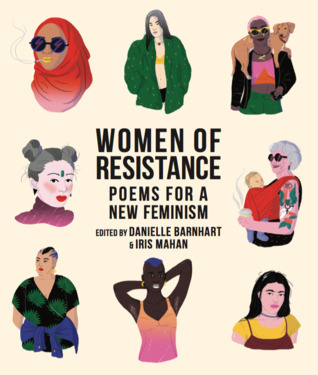 A feminist poetry collection that discusses race, gender identity and sexuality. I really enjoyed the variety of poetry styles that each contributor used. There’s a variety in content and form. I am not sure each piece is beautiful and exciting. The collection encompasses the works of a diverse range of poets who I’ll definitely want to check out. I don’t read that much poetry, but this collection of works from such inspiring people was indeed a hidden gem. I received a review copy from the publisher via NetGalley in return for an honest review. This in no way affected by opinions of the book.